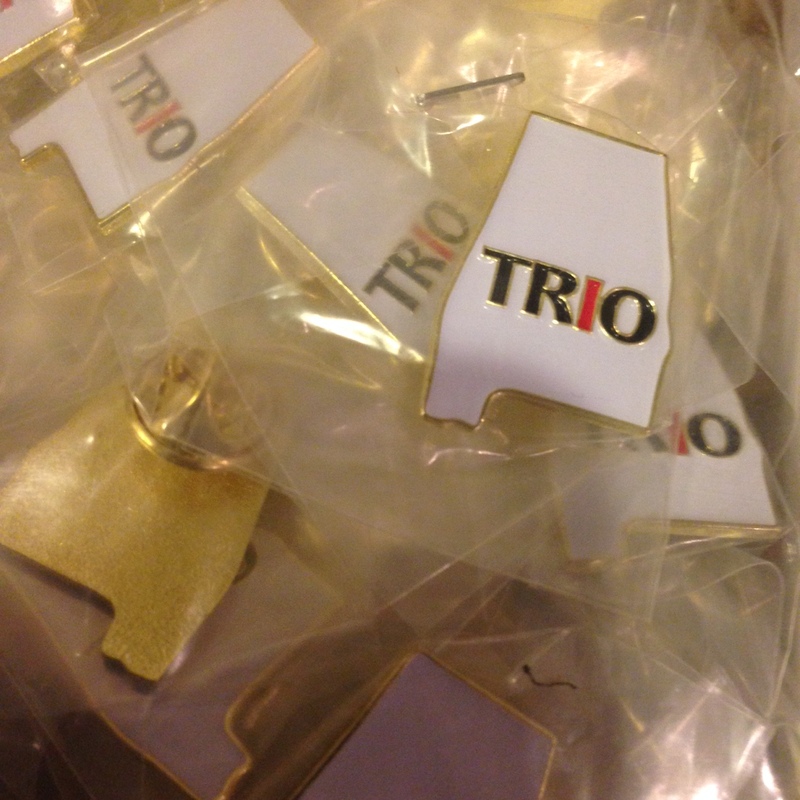 Proforma Green Marketing TRIO Alabama State lapel pins are in and ready to ship. Same quality as our standard TRIO lapel pins. “TRO” capital letters in black, with “I” in red. Die Struck Lapel Pin. Bright Goldtone Finish. Black, White, Red (PMS 186c) Soft Enamel Colorfill. Please contact us if you would like this lapel pins for your program. Minimum order is 50 lapel pins. Price per pin is $1.